A hummingbird feeder next to a window gives amazing close up views! 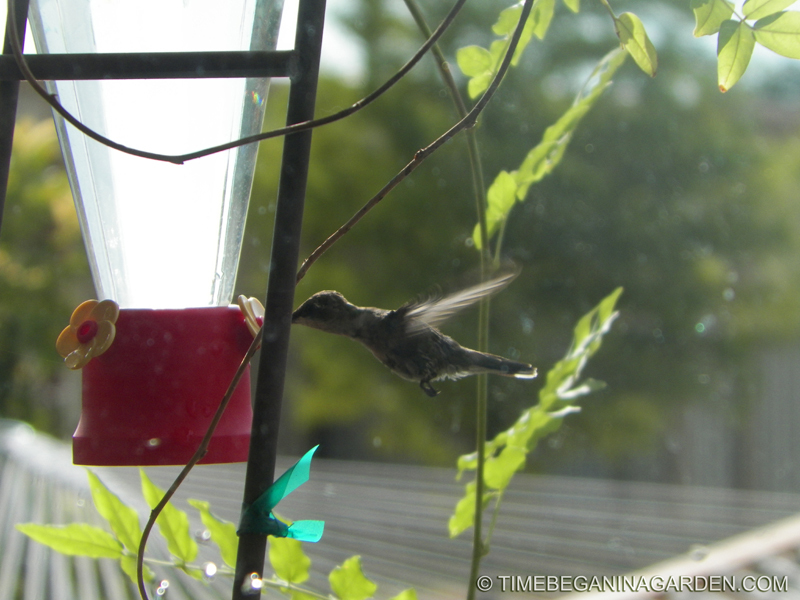 Hummingbird nectar is easy to make! No need to throw away money at the store for nectar when you can make your own for just a few cents! Combine and boil for just a few minutes. Let cool, then add to feeder. There is controversy on whether or not the red dye is good for them. Leave it out just to be safe. The hummingbirds love it without it! Boiling of the mix helps eliminate chlorine. 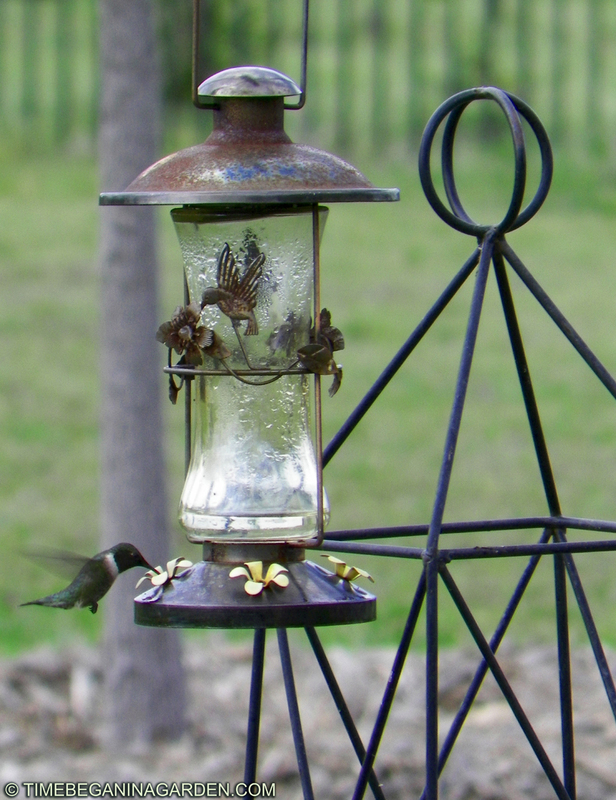 The 1 part sugar to 4 parts water is a great mix that the hummingbirds love but helps minimize attraction by wasp.